Originally from Grand Rapids, Eric started Diversified Financial, Inc. in 1983. He is a partner with Robin Vleugel, who has been with the firm since 1996. Eric is the managing partner and became an Enrolled Agent in 1992. He is one of six Enrolled Agents on the DFI staff. JoAnne joined Diversified Financial in 2012 after spending 33 years with H & R Block. She has been an Enrolled Agent since 1997, one of six on the staff. In addition to tax preparation, JoAnne is responsible for most farm returns that the firm prepares. Shawn joined Diversified Financial, Inc. in 2009 and is one of the six Enrolled Agents on the staff. She received her EA designation in 2010 and has over 27 years of experience. In addition to her accounting work, Shawn handles most of the trust and estate work for the firm. Joyce joined DFI in 2002 and has become an integral part of the firm. She is one of the six Enrolled Agents on the staff, earning her EA designation in 2015. In addition to preparing taxes, she helps in an administrative capacity in many areas of the firm. Ron joined the DFI team in 2006. He is an Enrolled Agent, one of six on the staff. In addition to tax preparation, Ron represents clients in resolving tax matters with the IRS and state taxing authorities. He also handles all the tax reporting for DFI clients that have foreign bank accounts. 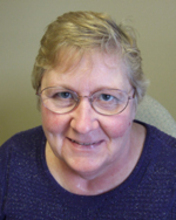 Barb has over 40 years of Accounting and Payroll processing experience and has been with DFI since 2002. She is responsible for all the payroll, quarterly reports, W-2’s and 1099’s, as well as sales and withholding for all of the firms’ clients. After spending 22 years working for the IRS, Nick joined our team in 2007. In addition to tax preparation, Nick works directly with clients to resolve tax issues with the IRS and state taxing authorities. He has been a licensed attorney in the State of Michigan since 1971. In 1996, Robin joined forces with Diversified Financial, Inc. when she merged her tax and accounting practice with DFI. Along with being a partner at the firm, she has been an Enrolled Agent since 2003. Currently, Robin is on sabbatical, but works on a consulting basis with the firm. Diane has been with Diversified Financial, Inc., since 2004. Along with some administrative responsibilities, she reviews, processes and collates all the individual tax returns that the firm prepares. Jamie is the newest member of DFI. She joined the staff in 2017 as the Office Administrator. Jamie is the lighthearted voice you hear when you call and the smiling face you get to see when you enter the building.